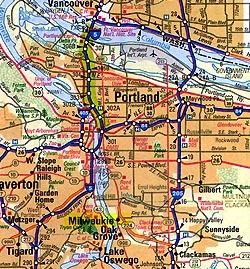 Milwaukee, Oregon south of Portland was location of November 2003 sighting by Michael McNeil. January 24, 2004 Milwaukee, Oregon - 2004 has begun with some spectacular sightings of unidentified sky objects over the Napoleon, Michigan, region not far from where an unusually large ice circle was found in December. See: Earthfiles 011604. The more I investigated the ice circle, the more I learned from local residents about mysterious lights and unidentified flying objects haunting the area for years. In my recent Earthfiles.com, Dreamland and Coast to Coast AM radio news reports, I have presented some of those eyewitnesses. Next PostNext Opportunity Lands on Mars – in “Muddy” Hematite?